Now at Camaloon you have new fonts for all your creations. Give your words, phrases and slogans shape with the new fonts. The 8 new fonts are in addition to the 16 existing ones for you to have many more design possibilities and to make it much easier. Write on your favourite products with the fonts you like best, change the colour and size to blend in with all your ideas. We present the new fonts using a sample application to inspire you. You’ll definitely want to try them all, don’t be shy. 1. Impact Label: A mobile cover at the forefront. This font comes directly from the 70s, with its retro style it is based on the letters printed on adhesive tape for labelling things. This font is back in fashion in its two versions: the classic one and the reverse one (with the colours reversed). With the Impact Label font we have created an iPhone cover with a short slogan since it is perfect for direct messages such as "Love at first contact" and the result is fresh, clear and has a three-dimensional effect. 2. SF Collegiate: A genuine university-style T-shirt. SF Collegiate is the perfect font for short words, names and numbers. It has all the air of American university fraternity and gets across the sportiest energy. We present it in one of our new models of tank tops, ideal for practising your favourite sports. A crafted elegant font that gets across the energy needed for putting a smile on your face every morning. Like a ray of sunshine it gives style and luminosity to all your slogans. For gifts that shine with their own light. Tote bags are fabulous accessories for messages that suit you. Stroll along with the most beautiful and motivating words and give them shape with Boecklins vintage yet romantic style. 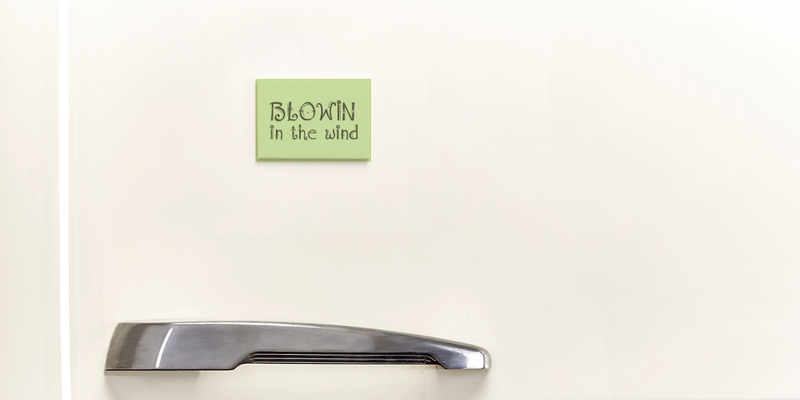 With the fun Amadeus Regular your words won’t be blowing in the wind. Perfect for highlighting famous quotes such as this prized Dylan song. Score points with each letter.